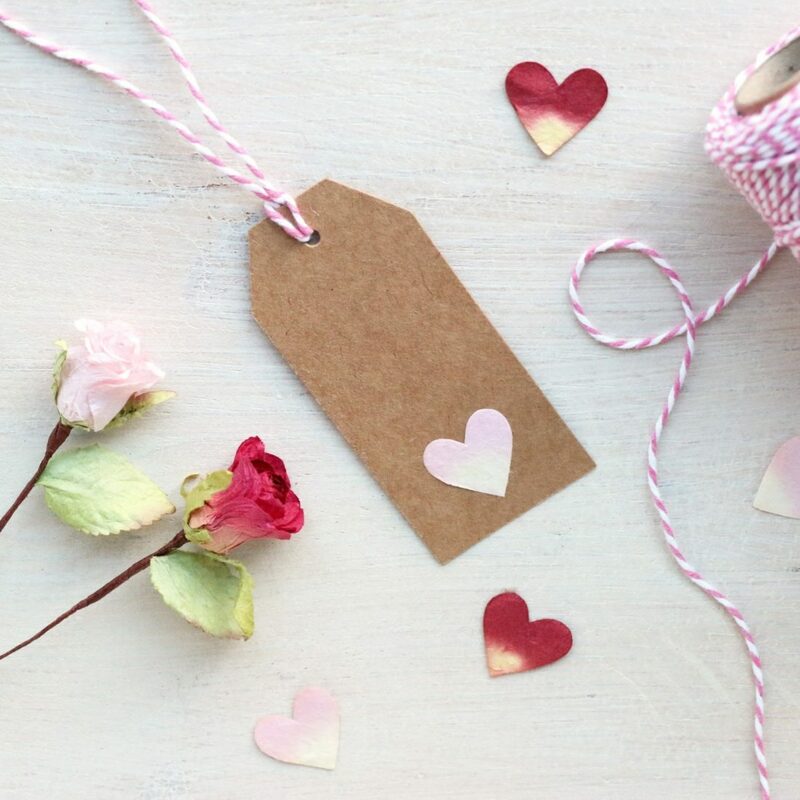 On Valentines Day there is nothing better than personalised Valentine gifts which show you have really thought about the person you are giving the gift to. These personalised picture frames are new at Paper Tree – the text can be personalised with any words – perhaps your favourite song lyrics, a poem or your own romantic message.Or choose the words ‘I Love You’ for a perfect Valentines gift. 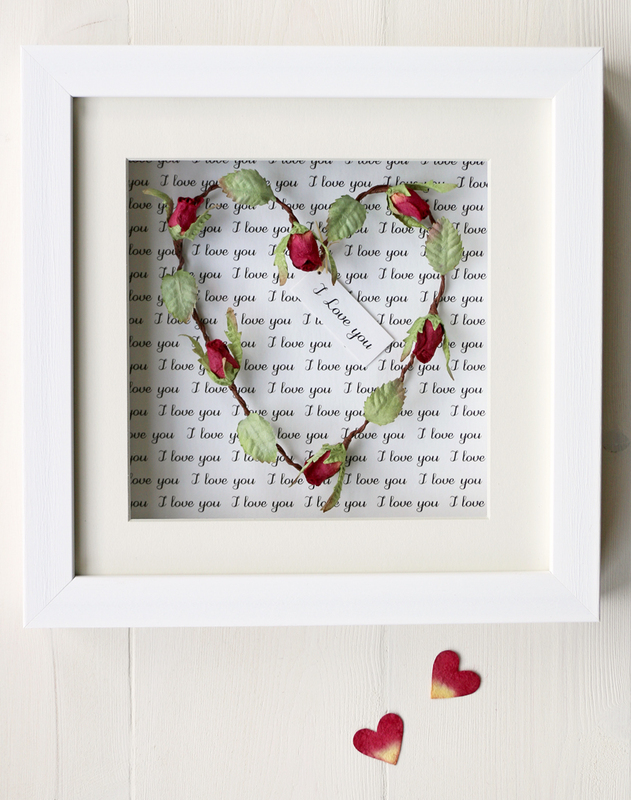 These frames also make perfect paper 1st Anniversary Gifts, represented by the paper rose. Wedding vows or 1st dance lyrics are particularly appropriate. This is a lovely idea for making your own origami paper hearts from Jesus Sauvage – you can add in secret personalised messages too! 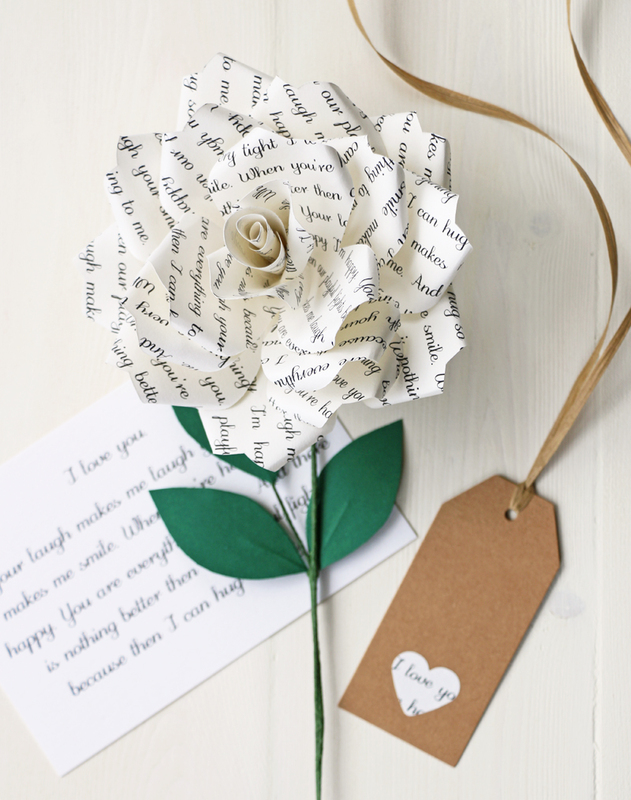 A rose is perfect for Valentines and this personalised paper version is just lovely. Add your own personal message or words from a favourite song or poem. Finally, I love this DIY project from Flax and Twine . These notebooks use Japanese book binding techniques to create a truly personal gift – made by yourself! Happy Valentines! We have a 10% discount until Monday 6th February with the code VAL10. This entry was posted in Latest News, Uncategorized and tagged Personalised Gifts, Valentines, Valentines Gifts, Valentines Rose.